We are being told that this attack is being prepared because Assad crossed the "red line" of chemical weapons use. This is a lie. America has never cared about the victims of chemical weapons attacks ever in its history unless it can achieve its own military objectives by parading on the corpses of those victims. This time is no exception. A truly awesome 5 minute clip on the US lies and hypocrisy surrounding the proxy war in Syria and chemical weapons. Make sure you air your voice on this matter and discourage the warmongers. While the British Parliament stands divided over whether to strike at Syria, Washington claims there's a moral reason to attack. But the use of chemical weapons was of no concern in the wars that the US waged in the past. WARNING! Some images in this report could be disturbing for some users. Awesome clip that shows the US position (via John Kerry) on chemical weapons is out and out hypocrisy. The United Nations should be investigating the US for chemical weapons war crimes carried out in Iraq if they are going to look into the Syrian attack. Parliament Debates Military Action Against Syria. George Galloway speaks as The British House of Commons holds an urgent debate on possible military action against the regime of President Bashar al-Assad. Prime Minister David Cameron recalled parliament following reports of a chemical weapons attack against Syrian citizens. The result of this debate was that the UK parliament decided not to escalate their involvement in the proxy war. An Al-Qaeda-linked group has promised a 'volcano of revenge' over the chemical attack in Syria. Karen Kwiatkowski - who's a retired US Air Force Lieutenant Colonel says if Washington launches military action against Syria it will be fighting on the same side as terrorists. The mother of the war on terror is 911 false flag attack. The truth about this attack is the only thing that can end the conflict. The architects and engineers featured in this clip explain the physical evidence, the forensic proof, that clearly shows the destruction of the World Trade centre buildings involved inside help. Please watch and reflect upon the endless conflict we continue to face. The Conflict in Syria is a PROXY WAR: This is ALREADY a Criminal Circumstance! 3. Assad is not the one perpetrating most of the atrocities, especially the chemical attacks. If it were not for foreign intervention in Syria there would be NO WAR. The West must immediately withdraw all support for their fighters in Syria and those responsible for these crimes discovered and put on trial for their heinous actions. 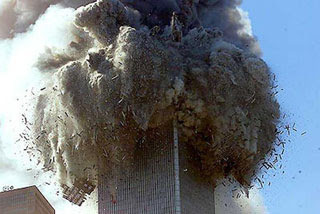 More than TWO THOUSAND experts now say that the attacks on the World Trade Centre Towers (and Building 7) were an inside job. The reason for such a position is clear: there is overwhelming forensic evidence that demonstrates explosives MUST have been used on the buildings. The official lies about 911 cannot be allowed to stand. Exposing the truth is necessary to stop any further staged attacks that could be used as a pretext to clamp down on civil liberties or as a justification for new Wars versus countries such as Iran. We live in dangerous times and we need experts like these to help fight against the lies. Go to the AE911truth website and sign their petition. Become a sustaining member and donate money to further their operations. Give 10 dollars a month or more if you can afford it. Don't let the criminals win. The analysis provided by these Architects and Engineers MUST be used by honourable Law Enforcement, Judicial and Military persons in actions against the real suspects. Don't let the perpetrators of 911 go unpunished. Spread the word about September 11 being an inside job ! As cliche as this sounds, we ARE all in this together. The only way to stop the threat of terrorism and to end the wars is to stand up and be heard. Nothing good will happen if we all remain silent. In this episode of the Keiser Report, Max Keiser and Stacy Herbert discuss the sinkholes of stupid causing collapse wherever they occur and, how in Texas, they are totally fracked as the sinkhole of stupid has caused water shortagesl. In the second half, Max talks to Chris Martenson about the four signs of dangerous bubble territory, the markets oblivious to the costs of Fukushima meltdown and the bad economics of fracking. International pressure has been building for a military strike on Syria in the wake of an alleged chemical weapons attack in a Damascus suburb. The West has laid the blame at the feet of President Assad, as UN inspectors probe the site of the attack. RT's contributor Afshin Rattansi thinks that whatever UN chemical weapons report would be, US would construe it in a way to justify attack on Syria. Great news summation of criminal US behaviour when it comes to chemical weapons. The rebels almost certainly employed some form of deadly toxin and yet the US is trying to frame the Assad Government for the crime. 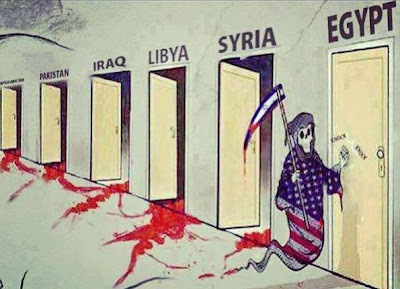 The US will shamelessly do and say anything in order to escalate the war. The following notice has been posted all over the internet, please help to pass the word along. We are launching a global rally on Saturday August 31st in every city and town in the world. Join the event, invite ALL of your friends to join it as well, then get involved with the locals that are already in the event page to help them any way you can. In this episode of the Keiser Report, Max Keiser and Stacy Herbert discuss the U.S. regulator's case against JP Morgan for violations of the Foreign Corrupt Practices Act, known in polite circles as 'client hires.' In the second half, Max talks to George Galloway, a Member of Parliament, about the film, The Killing of Tony Blair, that he is crowdfunding on Kickstarter. The film explores the financial killing the former prime minister has made on the mass killings in the various wars he started across the Middle East. Check out the important second half of the show. The war criminals in Washington and other Western capitals are determined to maintain their lie that the Syrian government used chemical weapons. Having failed in efforts to intimidate the UN chemical inspectors in Syria, Washington has demanded that UN Secretary General Ban Ki-moon withdraw the chemical weapons inspectors before they can assess the evidence and make their report. The UN Secretary General stood up to the Washington war criminals and rejected their demand. A Reuters/Ipsos poll finds that “Americans strongly oppose U.S. intervention in Syria’s civil war and believe Washington should stay out of the conflict even if reports that Syria’s government used deadly chemicals to attack civilians are confirmed.” http://news.yahoo.com/syria-war-escalates-americans-cool-u-intervention-reuters-003146054.html However, Obama could not care less that only 9 percent of the public supports his warmongering. As former president Jimmy Carter recently stated, “America has no functioning democracy.” http://rt.com/usa/carter-comment-nsa-snowden-261/ It has a police state in which the executive branch has placed itself above all law and the Constitution. The US, UK, and French governments have not explained why it matters whether people in the wars initiated by the West are killed by explosives made of depleted uranium or with chemical agents or any other weapon. It was obvious from the beginning that Obama was setting up the Syrian government for attack. Obama demonized chemical weapons–but not nuclear “bunker busters” that the US might use on Iran. Then Obama drew a red line, saying that the use of chemical weapons by the Syrians was such a great crime that the West would be obliged to attack Syria. Washington’s UK puppets, William Hague and Cameron, have just repeated this nonsensical claim. http://rt.com/news/uk-response-without-un-backing-979/ The final step in the frame-up was to orchestrate a chemical incident and blame the Syrian government. In going along with this war propaganda the Western MEDIA is also complicit in the crime. Email them. Remind them that these Syrian WMD claims are as unblievable as the Iraq WMD lies. To help answer the growing amount of questions on Syria, Lode Vanoost in Brussels - a journalist who's widely-covered events in Syria, and who is also a former deputy speaker of Belguim's parliament joins RT. I think that any Western air strikes will be directed, not against chemical weapons stocks, which would be very dangerous, but against Assad's army. The rebels will likely be preparing a new offensive timed with air attacks that would aid them. Reports of Western special forces on the ground in Syria back this approach since they would co-ordinate the tactical bombing. Such attacks could be drawn out allowing rebel forces to advance. Syria air defence units should prepare themselves as should Syria's army on the ground. They should expect tactical strikes. The Russians (and Chinese) could also move their warships into Syrian ports to defend the airspace against illegal bombing and threaten to take the Western powers to the International Criminal Court. The Israelis prefer conflict so that they can destroy their Middle East rivals. They have no problem with being threatened by hostile states because of their nuclear arsenal. The trick is to begin conflicts that draw in the US to do the all the fighting. A message to Wilkerson - it is the Israelis that largely wag the US dog not the other way around. According to declassified CIA documents, US intelligence officials disclosed the location of Iranian troops to Iraq knowing that Saddam Hussein would use chemical weapons against them back in the 1980s. According to the new revelation from Foreign Policy Magazine, not only did they the US provide the location, but were aware of the scale of nerve gas attacks. Former CIA analyst Ray McGovern weighs in on the report and explains how America's intervention changed history. On August 21st, 2013 chemical weapons were used the Syrian conflict yet again. Western powers, the U.S. and France in particular enthusiastically didn't hesitate for even a moment to take advantage of the tragedy, decrying it as a crime against humanity and using it as a springboard to announce their preparations for military strikes against the Syrian government. Make no mistake this was a crime against humanity... but the gas was NOT used by the Syrian government, it was used by the NATO backed rebels. Alert the public to the truth about the war in Syria and hassel the mainstream press to not push known lies in a repeat of what we saw with the Iraq WMD claims. Sometimes silence IS treason. Speak up! Russian Foreign Ministry is worried about the pressure being put on Assad's government, despite the UN investigation into the alleged use of chemicals having not even started. Meanwhile, medical charity Doctors Without Borders say they received more than three thousand patients suffering from intoxication on Wednesday, when the chemical assault was reported. 355 of them died. But exactly who was behind the attack is still hard to verify. So far the U.S. and its allies have assumed Assad is to blame. The US and its allies are trying to frame the debate on this gas attack in order to either overtly attack Syria, or to ramp up assistance to the rebels. Despite what the US has claimed, and despite what the general public might assume about the Assad Government, it is almost certain that they had nothing to do with this attack. If you liked the run up to the US attack on Iraq, with the lurid fictional tales of mobile chemical weapons labs and Saddam’s nukes, you will love “Iraq, The Sequel”, currently unfolding in Syria. It is everything the interventionists have been hoping for: a heady brew of Kosovo, Iraq, and Libya all rolled into one. The possibility for an infinitely more toxic conflagration is exponentially higher, to boot, adding for the interventionists much excitement to the mix. What has prompted this sudden dramatic move just over the past few days toward a Western invasion of Syria? A pretext. A claimed chemical attack near Damascus that has produced, according to an estimate from Médecins Sans Frontières, perhaps some 300 deaths. It is unclear whether a bona fide chemical attack has taken place, and it is even more unclear who might be responsible should the attack indeed be the work of some chemical agent. Yet all of a sudden another Washington/Paris/London war is to be set in motion. How banal the triggers for war have become. Almost like a video game. Somehow we are supposed to believe that within 72 hours after the arrival of a UN chemical weapons inspection team to assess — with the Syrian government’s cooperation — the sites of previous claimed chemical weapons attacks, that same Syrian government would launch a chemical weapon attack on civilians just miles from where the UN inspectors are staying. The UN inspectors were there on invitation from the Syrian government and that same government would launch chemicals right into their neighborhood. Unless Assad is indeed suicidally insane, which he has given no indication of being heretofore, it quite simply makes no sense. Why risk the overt wrath of the entire rest of the world — alienating even your final allies in Iran and Russia — for so measly a gain: killing 300 civilians in a war to the death against US/Saudi/Turk supported jihadists? How the state makes its own crimes legal by making it illegal to talk about them. Western experts on chemical warfare who have examined at least part of the footage are skeptical that weapons-grade chemical substances were used, although they all emphasize that serious conclusions cannot be reached without thorough on-site examination. Additional questions also remain unanswered, especially regarding the timing of the attack, being that it occurred on the exact same day that a team of UN inspectors was in Damascus to investigate earlier claims of chemical weapons use. It is also unclear what tactical goal the Syrian army would have been trying to achieve, when over the last few weeks it has managed to push back the rebels who were encroaching on central areas of the capital. But if this was not a chemical weapons attack, what then caused the deaths of so many people without any external signs of trauma? The Syrian rebels (and perhaps other players in the region) have a clear interest in presenting this as the largest chemical attack by the army loyal to Syrian President Bashar Assad to date, even if the cause was otherwise, especially while the UN inspectors are in the country. It is also in their interest to do so whilst U.S. President Barack Obama remains reluctant to commit any military support to the rebels, when only the crossing of a “red line” could convince him to change his policy. The rebels and the doctors on the scene may indeed believe that chemical weapons were used, since they fear such an attack, but they may not have the necessary knowledge and means to make such a diagnosis. The European Union demanded Wednesday that the UN inspectors be granted access to the new sites of alleged chemical attacks, but since this is not within the team’s mandate, it is unlikely that the Syrian government will do so. There are, within some of the videos, examples which seem a little hyper-real, and almost as if they’ve been set up. Which is not to say that they are fake but it does cause some concern. Some of the people with foaming, the foam seems to be too white, too pure, and not consistent with the sort of internal injury you might expect to see, which you’d expect to be bloodier or yellower. I’m deliberately not using the term chemical weapons here,” he said, adding that the use of “industrial toxicants” was a more likely explanation. 1. Why would Syria’s Assad invite United Nations chemical weapons inspectors to Syria, then launch a chemical weapons attack against women and children on the very day they arrive, just miles from where they are staying? 2. If Assad were going to use chemical weapons, wouldn’t he use them against the hired mercenary army trying to oust him? What does he gain attacking women and children? Nothing! 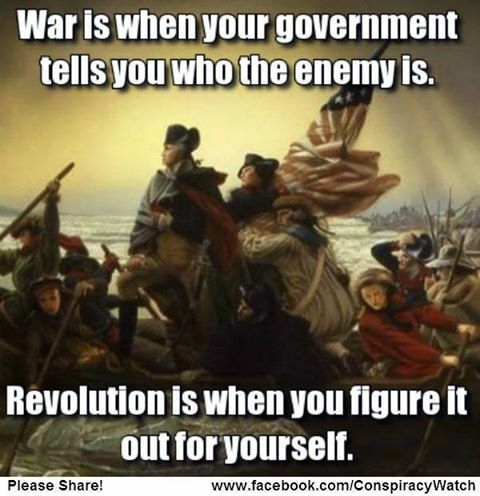 The gain is all on the side of the US Government desperate to get the war agenda going again. As I type these words, US trained and equipped forces are already across the border into Syria, and US naval forces are sailing into position to launch a massive cruise missile attack into Syria that will surely kill more Syrians than were claimed to have died in the chemical attack. Last time there was a chemical weapon attack in Syria, Bush administration office Colonel Lawrence Wilkerson said that he thought Israel might have given chemical weapons to the Syrian rebels to frame the government. US Government "getting ready for civil war"; the experimental vaccines in your dinner; and that virus on your computer - the army now linked to systematic black ops against ordinary citizens. How many times are they going to cry wolf? We heard this same song and dance at lease three times and in each case it was the Mercenaries terrorist the western press calls "rebels" who were behind it every single time. There is absolutely no motive or reason for Assad to suddenly use chemical weapons in a war that he is winning. This is NATO trying to create a pretext for themselves to jump in and save the terrorist they hired who have failed worst than the Bay of Pigs. Exposing a false flag attack can stop the subsequent wars. Syrian Girl provides good background to the extremely dubious chemical weapons claims being pushed by the West. In other recent interviews she points out that the aim of these false flag attacks may be to dismantle the Syrian WMDs via either negotiations or through increased support for the FSA terrorists. Syria's WMDs are a deterrent to direct outside military intervention. Once the WMDs are gone, as we saw in Libya and Iraq, a full scale attack could be 'safely' launched on the country. The Russians have also repeated the fact that it makes absolutely no sense that Assad, whose forces are winning the war, would use chemical weapons on civilians just days after UN weapons inspectors arrived in the country. Why would they want to cross any of the US imposed 'red lines' and risk losing political support for their fight and inviting further Western military intervention? To stop the West's war of aggression keep posting the truth about their false flag agenda and email the major media to let them know what the deal is. The flag colours should be the other way around. The US is the weapon. Science fiction writers have long warned about a world controlled by computers. Sadly, that world is already here. Computers control the world's money, and through the money, human life. That control is not as obvious as "I Robot's" VIKI, but it is very real. Isaac Asimov's prediction that computers would take over the Earth in order to protect human life is a romantic notion, and were that the objective, possibly even tolerable. But the reality of computer control of the real world is actually far closer to Gene Roddenberry's Star Trek episode, "The Gamesters of Triskelion" (co-written with Margaret Armen). In this story, the entire planet is run by three "Providers"; disembodied brains (computers) that were given control of their civilization at its peak. But the Providers, unlike VIKI, run their planet purely for the acquisition of Quatloos (dollars) and as a result, society has descended into slavery and gladiatorial combat on which the providers gamble. The acquisition of these symbols of wealth is the only priority for the Providers, and the suffering and death of the people is simply not a concern. We see the same trends here on earth, wth giant corporations gambling with each other for Quatloos (dollars) while the population is driven down into poverty, enslavement, fed toxic foods, sold damaging medications, encouraged to buy "fashionable" trinkets designed to wear out and force replacements time and again, and marched off to large-scale gladiatorial combat across the globe on which the money-junkies (actually, their computers) wager vast sums of Quatloos (dollars). In the above case, there are computers spying on your web-searches about medications and automatically feeding the appropriate corporate propaganda to your doctors to assuage your valid concerns, so that the doctor can go on selling you medications you do not need and which in many cases are provably more harm than good (as attested to by those disclaimers on the glossy TV commercials for the latest and greatest wonder-drugs). The computers that rule our world are not programmed to keep humans safe. They are programmed to acquire Quatloos (dollars) and the suffering and death of the people is simply not a concern. Gene, you Great Bird of the Galaxy, how right you were! Max Keiser and Stacy Herbert discuss the Dutch blues and the pay per gaze advertising coming to a pair of glasses near you. Max proposes a scheme of mortgages collateralized by food stamps. In the second half, Max talks to Ann Pettifor of PrimeEconomics.org about the Alice in Wongaland economy in the United Kingdom where people borrow from payday lenders in order to live and, instead of lending to the economy, the economy is lending to banks. They also discuss interest rate apartheid, carry trades and public unrest. There was a time during the 30-month covert dirty war on Syria when the Western governments and mainstream media would make a clamor over reported massacres. Now, despicably, these governments and media just ignore such atrocities. This is not mere hyperbole. To disseminate false information and lies about conflict - under the guise of independent news - is to be complicit in covering up war crimes. You can hardly get more serious misconduct than to tell lies about crimes against humanity. This is both a tip and a critical response to your 22/8 ABC1 News story on the recent Syrian chemical weapons incident. The problem with your story is that it implied the attack was more likely the work of the Assad Government rather than by opposition forces. However, if one follows the details of all the chemical weapons incidents, from the Dailymail expose of defense contractors discussing a false flag set-up of Assad with US approval, to the UN report that showed earlier attacks were likely the result of rebels, to the Turkish arrest of al Nusra militants in Turkey with Sarin gas (or some other chemical substance), the burden of proof rests not with Assad's Government but with the rebels and their backers in the West. By framing your story to imply Assad's guilt you are misrepresenting the overall situation as it stands. Your story was biased and misleading and should have been framed with strong doubts about the claims. The news clip did pose the question as to why Assad would launch such an attack, that would draw international intervention, with UN monitors close at hand but this was washed over in the overall presentation. The audience was not told that the war in Syria is largely a proxy war and would never have started if not for the pre-war NATO backed training camps in Turkey and the monetary and logistical support being provided by countries like the USA, France, the UK, Qatar and Saudi Arabia. As it stands your reporting on this matter breaches the ABC Code of Practice Section 4.1, 4.4 and 4.5 which deals with impartiality and misrepresentation. You largely parroted the spin put out by the Western powers that have pushed the war and supported the extremist groups. Follow up stories must address the matters I raised. Do some proper research and do not forget recent history such as we saw with Iraq. Please note, I'm furious over the news bulletin you aired. CIA Documents Acknowledge Role In Iran's '53 Operation Ajax Coup; NSA Surveillance Said To Be Broader Than Initially Believed - Covers 75% Of Internet; White House Won't Condemn Detention of Glenn Greenwald's Partner; NSA Collects 'Word for Word' Every Domestic Communication, Says Former Analyst: Guardian Editor Says Destruction Of Snowden Data "Won't Harm Our Reporting"; Why The Guardian Destroyed Hard Drives Of Leaked Files; Michael Hastings' Toxicology Reports Twisted Throughout Media; Bradley Manning Gets 35 Years For Leaking Classified Files; Video: Latest Syrian Chemical Attack Follows History of False Flag Provocations;Tank At Crippled Japan Nuclear Plant Leaks Highly Radioactive Water; At The Root Of Egyptian Rage Is A Deepening Resource Crisis; Why Conspiracy Theories Still Haunt Princess Diana; Ground Zero On The CIA's Area 51 "Admissions". There are links with each of the points outlined above at the You Tube site for those that want more detailed information. New World Next week is doing a good job of highlighting important events in the media. Take a few minutes and check out this week's episode. I have heard some say at least the mob would leave family members alone, thus even they have more ethics than the US and UK. Although that is funny. That is not true. The Mob would absolutely attack a person's entire family if they saw it as beneficial. Two years after the Fukushima disaster rocked the nuclear industry, the jury is still out in many countries on the role of atomic fuels. Just two of Japan's 54 commercial nuclear plants are currently operational, while Germany has abandoned nuclear altogether. The price of uranium has also plummeted, making it unviable to get new mines off the ground. 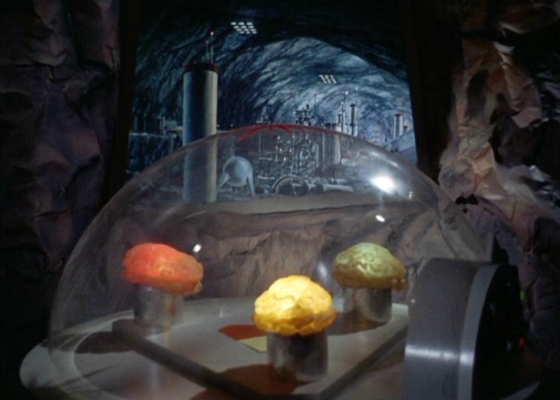 But in the background, scientists are working on a cleaner, cheaper and safer alternative to uranium. It's even named after a god. Thorium is more common in the Earth's crust than tin, mercury and silver - and three times more abundant that uranium. In fact, thorium, which is named after Thor, the Norse god of thunder, is so energy-dense that an individual can hold a lifetime's supply of electricity in the palm of their hand. Thorium "revolutionists" argue that the benefits could be even greater if it is used in molten salt reactors, which can act as eco-cleaners to burn up old toxic waste. Radioactive fission products can also be re-added to the reactor for successive rounds of power generation, making energy generation cheaper. Some even argue that these reactors could have prevented the hydrogen explosions seen in Japan. In the event of power-loss, a plug in the base of the reactor melts and the salts flow into a containment vessel to cool down, stopping the reaction and any radiation release. In this exclusive clip from the forthcoming edition of the Jack Blood Podcast, James Corbett and Jack Blood dissect the latest reports of a chemical weapons attack in Syria, occuring just two days after a UN chemical weapons team arrived in the country. James goes over the history of false flag chemical provocations in the country and the reasons why we should doubt the quickly-forming official narrative that this attack was perpetrated by Assad's military. Essential summary of background information on this almost certain false flag chemical weapons event. This is a good short video to share around the net. To date, not one American major media television has reported this health catastrophe to the public, as detailed in Vampire of Macondo where this Gulf Operation that began in April 2010 is referred to as chemical genocide. Everyone should avoid the Gulf of Mexico for a while if they can. What you have seen is the consequence of a corrupt Government system. Be aware, and take action where you can - or do nothing and suffer further atrocities. Whistleblower Bradley Manning has been sentenced to 35 years behind bars. The former Army private, who leaked thousands of classified US documents to Wikileaks, will also be dishonourably discharged. Human rights activist Peter Thatchell joins RT to discuss Manning's sentence. Stunned by turmoil in neighboring Egypt and starved of funds, the Palestinian Islamist group Hamas is looking to repair damaged ties with its traditional Middle East allies, Iran and the Lebanese Hezbollah party. An off-shoot of the Muslim Brotherhood, Hamas celebrated when the Sunni movement's Mohamed Morsy was elected president of Egypt in 2012, believing the vote would boost its own international standing and its grip on the isolated Gaza Strip. In the meantime, outraged by the bloody civil war in Syria, the Palestinian group quit its headquarters in Damascus, snapping the Iran-led "axis of resistance" that challenged Israel and the West across the turbulent region. Shia Muslim Iran, which had for years supplied Hamas with cash and arms, was infuriated by what it saw as a betrayal of its close friend, Syrian President Bashar al-Assad, and drastically scaled back its support. Tehran's Shia partner, Hezbollah, also voiced its fierce disapproval. But following the ousting of Morsy, removed by the Egyptian military on 3 July, political sources said Hamas had had direct and indirect contacts with both Iran and Hezbollah -- anxious to revitalize old alliances and restore its battered funding. This short article helps to explain some of the politics involving the Muslim brotherhood in Gaza and Syria. The MB and Hamas support for the extremists fighting against Assad, a rock solid opponent of the Israeli regime, places both these groups on shaky ground in terms of overall popularity in the Islamic world. The fact that the Muslim Brotherhood became involved in the fighting in Syria, aiding NATO backed radicals, shows their action played into the hands of the West whose aims are to see countries like Syria and Iran dismembered. In this episode of the Keiser Report, Max Keiser and Stacy Herbert discuss the fact that banks are lobbying to force credit unions to become banks in order to destroy the Move Your Money competitive threat. They also discuss frontrunning the NSA and the digital AIDS they've spread. In the second half, Max talks to former government official, Catherine Austin Fitts of Solari.com about extricating yourself from the tapeworm economy. Essential and enlightening information on how the financial system really works. Wildly varying reports have emerged of recent chemical weapons use in Syria, with hundreds allegedly killed in the latest attack. This comes on the same day that the UN inspectors arrive in Damascus to investigate allegations of use of toxic arms. This claim about a chemical weapons attack by the extremist rebels is a desperate attempt at staging a false flag terror event. Assad's forces are slowly winning. Using any type of chemical would only undermine these gains. Large scale foreign intervention in Syria would be a disaster because the leading opposition group in the country is the murderous al-Nusra front whose members would ethnically cleanse the country of all non-Sunni Muslims. At the moment Syrian Kurds are being expelled in the North East by this al Qaeda linked terrorist group. Video-sharing site YouTube deactivated Press TV's official page without explanation after the Israeli-American Anti-Defamation League (ADL) ordered it to terminate the Iranian channel's live broadcast. "We have not been able to upload new videos on our official YouTube page since July 25. Both YouTube and (its parent company) Google have declined to comment," said Press TV Newsroom Director Hamid Reza Emadi. He added that YouTube was "in fact responding to an ADL order to stop us from revealing Israeli crimes to the world." I checked at You Tube and Press TV has not uploaded any videos for three weeks. All the censorship against the Iranian media is part of the plot to cripple Iran. The long term goal seems to be to launch a destructive war and perhaps bomb the Iranian nuclear reactors, which is madness considering the disastrous consequences we face from the Fukushima meltdowns. So far, in the modern era, certain human factions are setting everyone up for destruction. The power mad idiots at the top will find themselves on the casualty list as a consequence of their own misguided actions. If we allow the meltdowns of various nuclear power plants around the world we could find the radiation extremely harmful to our long term survival. Every year, a greater and greater percentage of our food supply sources back to genetically modified ingredients. Monsanto, Dow, Bayer, DuPont and the other biotech giants have made GMOs into a multi-billion dollar industry and unsurprisingly have launched one of the largest pr campaigns in the history of the food industry to convince the public that their products are safe, healthy and beneficial. Let's examine five of the main claims of this PR campaign and see how they stack up to reality. If you listen to market reports on the financial industry, it sounds like we've pulled ourselves out of recession. Morgan Stanley, Bank of America, Goldman Sachs, Citigroup, JP Morgan Chase, and Wells Fargo all announced huge earnings this quarter. We're back baby, right? Not nearly. Not even close. Because those earnings are a reflection on what our money really is. The Resident (aka Lori Harfenist) explores the nature of evil monetary fiction. Many real businesses that provide services or make things, not financial institutions that can conjure money or make gambling-type bets in favour of a collapse, are going backwards. The funny money generated from the finance sector is not going into the wider economy, but back into their casino gambling system. Iraq is facing an unprecedented influx of refugees - almost thirty thousand people have crossed its border with Syria since Thursday. The lion's share of those displaced are Kurds - who have found themselves caught in the middle of the war. And as RT's Paula Slier reports - this is yet another sign that the conflict can't be contained within Syria. These jihadists have been backed by the West from the very start so that Syria could be destroyed. The fighting would end if countires like Turkey, the US, the UK, Qatar, Saudi Arabia and Israel stopped backing these terrorists. Some basic general information ... because everyone should know about this event. In this episode of the Keiser Report, Max Keiser and Stacy Herbert discuss Mom and Pop investors taken out on a slab and their wealth burnt to a crisp by the high cathedral of fraud that is the New York Stock Exchange and its degenerate priests of high finance. Max proposes a scheme of mortgages collateralized by food stamps. In the second half, Max talks to Owen Jones, a columnist at the Independent and author of Chavs: The Demonization of the Working Class, about the prejudice of George Osborne's policies which takes nearly £12 billion from housing benefit for the poor and shifts it to property speculation schemes for the middle class. We have endless releases into the Pacific Ocean that will be ongoing for not only our lifetimes, but our children’s' lifetimes. We have 40 million people living in the Tokyo area nearby. We have continued releases from the underground corium that reminds us it is there occasionally with steam events and huge increases in radiation levels. Across the Pacific, we have at least two peer-reviewed scientific studies so far that have already provided evidence of increased mortality in North America, and thyroid problems in infants on the west coast states from our initial exposures. Perhaps, after a number of centuries dealing with the contamination, our society, particularly those corrupted people in Government, will become wise in terms of understanding the benefits of being truthful, even when the situation is dire. At the moment the cover-up culture is causing a lack of drastic international action to be taken at Fukushima. What is needed is a huge engineering effort to completely entomb the ruined buildings in concrete - including at deep underground levels - for starters. This should have started back in 2011. Those engaged in the cover-up, from online propagandists to Government officials, need to realise their work is killing themselves and risking all our futures. The Obama administration is willing to step up drone strikes in Yemen even further, despite no precise intelligence on terrorist targets there according to a report from Washington. This may well be sending chills down the spines of ordinary Yemenis who bear the brunt of the unmanned attacks it even pushes some to join the ranks of Al-Qaeda. The man who forced the government of Iceland to resign, and removed the IMF representatives from his country, Hörður Torfason, is now teaching meta-modern democracy throughout Europe. The rest of the world would benefit from following the example set by Iceland: Arresting the corrupt bankers who are responsible for the current economic turmoil. Good points raised in the short clip. There is mass confusion across the political spectrum in the West, from the left, through the bleeding-heart liberals to dyed-in-the-wool conservatives and other right wingers, regarding where to stand on the crisis in Egypt. Some leftists have fallen back onto their Washington safety blanket. They figure out that because the US has failed to cut military aid to Egypt following the mass movement that ousted Islamist President Muhammad Morsi and the clamp down on Morsi’s organization, the far-right Muslim Brotherhood, which has been holding Cairo hostage with a paralysing sit-in, then the US must be in favour of Egypt’s interim, army-backed government that replaced Morsi. Therefore, so their logic goes, leftists must do the opposite and back the far-right Islamist group. These supposed left wingers are generally represented in various online outlets as well as in the liberal media, including Britain’s Guardian newspaper, Channel 4 News, the BBC and the pro-Muslim Brotherhood Qatari TV channel, Al-Jazeera. The right, on the other hand, would like to see concerted action, including sanctions, against Egypt to force the interim government to give in to the far-right Muslim Brotherhood’s blackmail. Among the exponents of this argument is Britain’s Conservative prisons minister, Crispin Blunt, and US Senator John McCain. Between the two camps is a coterie of Islamists of various degrees of extremism, Islamophiles, including a worryingly large group of online activists who have little idea about Islam, Islamism, the Muslim Brotherhood, Egypt or anything else but nonetheless think that because there are bad people called Islamophobes, then Islamism must be cool. It also includes lots of bleeding-heart liberals who think all sides should just sit down and sort things out – forgetting that that is precisely what Egypt’s interim government has been trying to do since Morsi’s removal from power on 3 July. Examples of the various shades of this group can be found among the interviewees of Al-Jazeera’s English-language TV channel. Most of the arguments put forward by left wingers, right wingers, bleeding-heart liberals and those in-between have already been debunked in various articles published on this website. Generally, the arguments fall into three clusters: democracy, human rights and the “the US conspiracy”. This is an interesting article on the fighting in Egypt. Although a violent course of action should be discouraged the author points out that the Muslim Brotherhood was not acting in the interests of all Egyptians before the coup. Many Egyptians did not want to experience creeping Sharia Law (and neither did the army want to see their power undermined). While the army's response was heavy handed to say the least, their failed attempts to clear the streets, after trying to negotiate, left the option for using tear gas and this has clearly gone out of control. However, images of the fighting also showed armed MB fighters in the streets. Who shot first is not easy to determine. One thing appears true, and that is the majority did not want to see violence - but also consider that, despite the coup, the majority was not in support of the Muslim Brotherhood either. Read the whole article at the link and draw your own conclusions. Were the Muslim brotherhood supporters backing a well meaning Government or were they supporting the rise of an extremist state? Obviously the slaughter of innocents was a disgrace. The Egyptian Army is clealry not without fault. Eventually new elections must be held and those responsible for the violence will be held to account. The next level of 9/11 TRUTH street activism. For a second time, a local news channel has been compelled to explain the collapse of WTC7 to the public, as a direct result of the graffiti. In this episode of the Keiser Report, Max Keiser and Stacy Herbert discuss how the 'cult' of Mark Carney is leading to food inflation, as well as housewives outstripping inflation. Meanwhile, George Osborne's welfare reforms see £11.8 billion 'saved' from housing benefits, while £12 billion of taxpayer money is set aside to subsidize mortgages of up to £600,000 for the second phase of the Help to Buy scheme. In the second half of the program, Max talks to Simon Rose of SaveOurSavers.co.uk about forward guidance, real inflation, and George Osborne's speculative schemes. Freshmen in the US House Of Representatives learn very quickly that they need a lot of money to stay in power, as explained in a New York Times piece highlighting how Congressman in both parties are bought. Awesome clip. Please watch and share. This isn’t the first time that the federal government has made massive bulk purchases of guns, gun parts, and ammunition which are extremely popular with private gun owners but not in NATO use. Last month, we reported that the army bought 2,550,000 live rounds of 7.62x39mm ammo. The army is storing a portion of the ammo at Camp Stanley in Boerne, Texas, which is also supposedly a CIA outpost. The Obama-backed Syria rebels could definitely use the 7.62x39mm for their AKs, especially considering that Congress has already cleared the CIA to openly ship munitions to them. Abby Martin talks in depth about the curious case of Barrett Brown, the hacktivist/journalist who is facing 105 years in prison for posting a link. The real terrorists are those in Government. The CIA operatives who actually tortured people, and those that authorised such crimes, face no prosecution. It is only those exposing the unconstitutional activities of the authorities who are punished. In his sentencing hearing yesterday, Bradley Manning took the stand and apologized for the “hurt” he inflicted on the United States. While the legal strategy of Manning's attorney at this point-as it would be for any attorney-is to convince the judge to reduce Manning’s sentence as much as possible, the public should know: Bradley Manning didn’t actually hurt the United States. For years now, the government may have attempted to paint a dire picture of WikiLeaks potential impact, but they've also admitted, quietly but repeatedly, that the results have been more embarrassing than harmful. In this episode of the Keiser Report, Max Keiser and Stacy Herbert discuss boycotting and shrugging in response to the total surveillance state where even the 'progressive' recycling bins are following you. They look at the email service providers who committed corporate suicide and destroyed their assets rather than collaborate in 'crimes against the American people.' In the second half, Max talks to John Butler, author of The Golden Revolution, about interest rates, bonds and gold. Egypt, What's Going On? Is the Muslim Brotherhood or Egyptian Military Pro-US? They are all puppets and the West would love to create a civil war. The ideal solution would be to have fair and open elections. Transparent government and rule of Law is the key. No one group should be allowed to usurp power on permanent basis. Various groups can win the popular vote from time to time. The country's Constitution should remain the same or changes agreed to by an overwhelming majority. Violations of the Law should be met with Judicial action - ie arrests and trials. Police in Bahrain have fired tear gas and birdshot at protesters. This, however, could be just the start, as the Gulf nation's authorities prepare for a major crackdown on dissent. Wednesday marks the country's 42-nd anniversary of independence from Britain and exactly two and a half years since the current wave of unrest began. Pro-US dictatorships tend not make headlines in the Western media. Rachel Maddow recently had some harsh criticism for people she labelled as conspiracy theorists. We look at the video and Tyrel Ventura responds to her in this clip from Buzzsaw. Maddow owes her audience an apology. Israel/Palestine [Faux] Peace Talks: Hostage Negotiations? Interview with Dr. Norman Finkelstein . Abby Martin speaks with author and political scientist, Norman Finkelstein, about renewed peace talks between Israel and Palestine, and the key role the US plays as a biased actor favoring the interests of Israel above all else. These are fake peace talks. Israeli leaders want to expand their territory in Palestine as much as they can. In this episode of the Keiser Report, Max Keiser and Stacy Herbert discuss the Fatberg of Fraud clogging up the global financial system and JPMorgan's role in depositing the wet wipes of financial products into that system. In the second half, Max talks to Rob Kirby of KirbyAnalytics.com about Mark Carney and his merry band of bankers as the Lone Ranger box office disaster, they've all made their fees while the shareholders and stakeholders eat the losses. Kirby also predicts lower rates due to central bank intervention via Interest Rate Swaps and Forward Rate Agreements. The financial products that are threatening world finance are the leveraged derivatives (which should be banned or regulated or else we should not bail out banks suffering losses in those shadow markets). Check out this informative episode. The Keiser Report is an essential and entertaining perspective on banking corruption. According to San Diego 6 News reporter Kimberly Dvorak, “John Brennan was Hastings next exposé project.” Dvorak says she received an email from the CIA, “acknowledging Hastings was working on a CIA story,” although the text of that email was not displayed. “There is specific tasker from the WH to go after anyone printing materials negative to the Obama agenda (oh my.) Even the FBI is shocked,” states the email. Before being sworn in as CIA director in March this year, Brennan was a counterterrorism advisor for the Obama administration and helped compile the “kill lists” for the White House’s drone assassination program. Pepe Escobar, who's a correspondent for the Asia Times, explained how he thinks Saudi rulers are trying to extinguish the flame of the Arab Spring. Great to see Pepe Escobar back in the news with his analysis. US Army whistleblower Bradley Manning, 25, was found guilty on 20 of his 22 charges for sharing thousands of classified US documents with the anti-secrecy website WikiLeaks in late 2009 and early 2010. Among other charges, he was found guilty of espionage, theft, and embezzlement of government property. According to Solomon, awarding the soldier the Nobel Prize would underline the important role of whistleblowers in promoting peace and democracy. “Unless we can speak the truth, then peace-making becomes a hollow exercise of rhetoric rather than reality,” Solomon told reporters before submitting the petition. If people like Henry Kissinger and Barak Obama can win the Peace Prize then Manning, who risked his life in an anti-war stance against his Government, should win. The other two should have their ones stripped and face trial for war crimes. The THREE nuclear reactors in Japan appear to have fully melted down and have been out of control for the last two years. Nothing has been done to properly contain the radiation. Radioactive steam and water have been spewing from the plant and this has impacted the entire planet. In time people will start to suffer from various types of low level radiation sicknesses. And because of the 'Cover-up Society' we all live under, in which Governments tend to hide their own crimes or mistakes, we are all condemned to a relatively disastrous future. What needs to happen is for insiders to blow the whistle on all the big crimes we are suffering under, such as the 911 false flag attacks, the truth about the Fukushima radiation (etc), so that we can be given a chance to recognise real dangers and act. The reactor remains at Fukushima can be contained but it will need an international effort. Also, our present technology nuclear reactors must all be decommissioned and replaced with something less hazardous.